Before I review my favourite finds of 2014, I thought I should first catch up with my monthly favourites. I get so busy in the run up to Christmas, planning for the big day, that almost everything else gets left to one side, so I missed my November favourites entirely and my blog was a little bit neglected :( I can breathe a sign of relief now as although I love Christmas, it feels good to now be able to think about planning for other things, and to use my Christmas tree as a blogging backdrop! So onto the juicy stuff, these are my favourite and most used products from November and December. Colour Wow speed dry - I've nearly used all of this up as I've been using it every day. I always use a blowdry spray when I dry my hair as it can take ages without, but this one from Colour Wow is much better than my usual Lee Stafford spray, although to be fair it is more expensive. It's perfect for detangling hair easily and cutting down drying time whilst giving me smooth and sleek hair. If you blowdry your hair every day like me, this is such a worthwhile product. 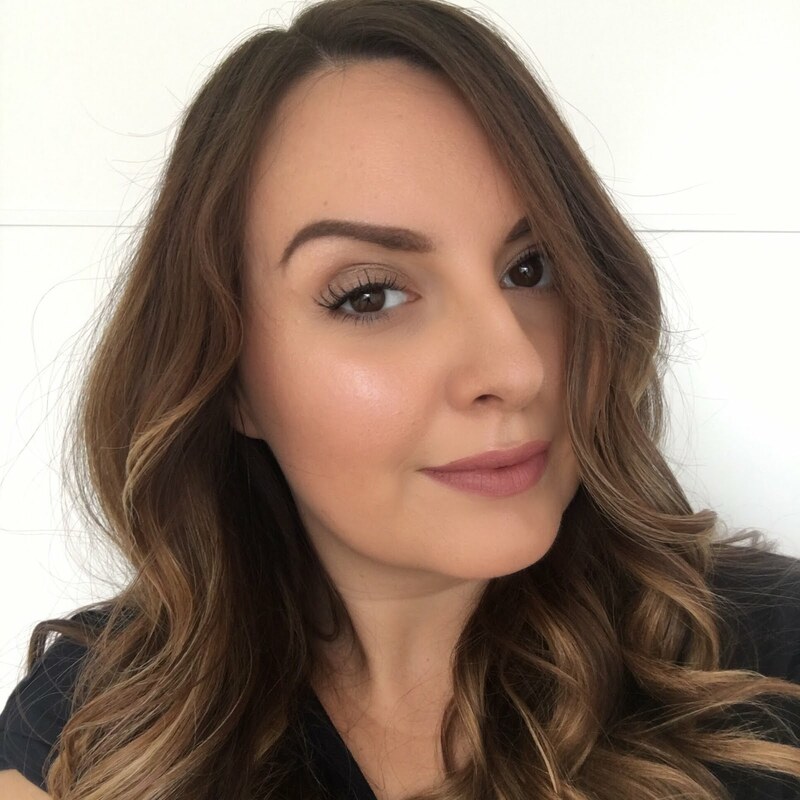 Aussie 3 minute miracle winter remedy - although it's probably intended as a once a week treatment, I use one of the Aussie 3 minute miracle conditioners every time I was my hair and I really notice the difference in the softness of my hair. I'm currently using this 'winter remedy' version, which is a rebrand of the miracle shine conditioner. Invisibobbles - these are my latest hair discovery. These springy little plastic bobbles are amazing - they don't snag or pull my hair, they make the perfect night-time hair pineapple and they virtually disappear when you're wearing them. Co Lab dry shampoo - I've tried a few of the fragrances from Ruth Crilly's dry shampoo range and although I've seen such mixed feedback on these, I'm in the rave camp. I've never got on very well with Batiste, and the Co Lab dry shampoos are very different - they really do spray clear and they feel incredibly light and smell really lovely like a perfume. The only downside is that I find I need to use quite a lot to get the result I'm after, but it's worth it for clean looking hair that smells good! The Rio scent is my favourite. Makeup revolution ultra blush palette sugar and spice - I've been wearing this palette non-stop since I got it. I love the shade range - they're all beauts, and the shades are incredibly pigmented so I won't be hitting a pan any time soon! Lorac Pro palette - I lusted after this palette for a long old time, and I'm so pleased I finally got my hands on it. The shades are nudes and neutrals with just a bit of smoke, which makes this a perfect every day palette for me and the shadows are excellent quality. I really want to pick up the Lorac Pro 2 palette next. If you're planning on getting one of these, be extremely careful that you don't end up with a fake - they're all over ebay! I desperately wanted to get my hands on the Lorac Mega Pro palette, but they were a bit of an instant sell out in the US with people re-selling them for two and three times their original price on ebay! The fakes are out for that palette too so don't be duped - if you see the Mega Pro for much less than £60 or £70, it's almost definitely going to be a fake. Makeup Revolution liphug in I wasn't mixed up - my first lipstick from Makeup Revoultion and I'm super impressed with the quality for a £2.50 lipstick! I chose this pinky-mauve shade which looks lovely on and has a great smooth and creamy consistency. I'll certainly be getting more shades. Rimmel Exaggerate lip liner in Eastend Snob - I've also been enjoying a Kylie-esque lip a lot of the time thanks to this lip liner from Rimmel. It's a little bit drying sometimes, but I love the colour and it lasts hours. Lime Crime velvetine in red velvet - most of the year this lipstick looks a bit too much on me, but at Christmas everyone can get away with a vivid red. This made a great Christmas party shade because it really doesn't budge. Tanya Burr everyday flutter lashes - I'd been wondering about half lashes for a while, so when I saw Tanya had a pair in her range I couldn't wait to try them. On my first attempt I positioned them all wrong and they looked a bit weird, but with more patience the second time and lining them up just slightly in from the outer corner of my eye they look beautiful. This pair are a little battered as I've worn them over Christmas! Rimmel lash accelerator endless mascara - since my semi-permanent lashes came off I've been trying a few new mascaras, and so far this one from Rimmel is a firm favourite. It adds real length to my short lashes and it builds quickly without getting clumpy. Thumbs up. Lanolips 101 ointment - a standard saviour in my winter repertoire, my lips can't do cold weather without it. Dermalogica intensive eye repair - I got this mini eye cream with a Dermalogica gift set and started using it when the skin around my eyes began to get noticeably dry. It's a really annoying problem because my lids get very oily, but using this around my eyes has really hydrated the area well without making it greasy or causing any other problems. Real Techniques setting brush - having the dryness issue I just mentioned can make applying concealer a real battle. I like the Real Techniques contour brush for concealing small areas, but when I tried to buy a new one and found it wasn't sold separately from the kit, I tried this one instead. It's smaller with a pointed tip and more feathering finish, so it actually does a better job around my eyes where I want to apply concealer really lightly. Have you tried any of these? Are they your favourites too? Loving your favourites. I wish they would sell the aussie line in Belgium. I bought some in London and my hair gets along with it so well. I am discussing with myself if i should try one of this at home gel sets once. I never had gel nails but i hate the chipping nail thing.